Miřenka Čechová, is a Czech director, choreographer, performer and scholar currently living in Prague. She is co-founder and house director of two internationally acclaimed theater companies: Spitfire Company and Tantehorse, and also works as an independent director. She began her career as a classical ballet dancer at the Dance Conservatory in Prague. Following, she continued her studies to earn two MA degrees in Theater and Nonverbal theater respectively. She was awarded a Ph.D in Physical Theater Direction from the Music Faculty of the Academy of Performing Arts in Prague, where she has served as a professor of authorial theater since 2012. Ms. Cechova received a Fulbright scholarship in 2010/2011 to teach and research in the USA. She has combined her two disciplines of theater and dance to create her own physical and dance theater style. As a performer, she has established a strong international reputation particularly for her solo works, in which she also serves as playwright and director. She received a Herald Angel Award at the Edinburgh Fringe Festival (2012), The Best of Contemporary Dance (2012) from the Washington Post, as well as The Best of Performance Award by the Prague Fringe, The Best of Fringe in Amsterdam and the Best Overseas Production of the National Arts Festival in South Africa (2013) among many other awards and honors. As a director, she has contributed to more than 25 productions, recently Opera and the French Revolution (2016, director) for Opera Lafayette at Lisner Auditorium in Washington DC and Rose Hall at Lincoln Center in New York, Lessons of Touch (2015, concept, director), Sniper's Lake (2015, director, choreographer, in coproduction with Norway’s Baerum Kulturhus), FAiTH (2014, concept, director, choreography and performer) on residence at Atlas performing Arts Center in Washington DC, Prawns a la Indigo (2013, director), S/He is Nancy Joe (2012, concept, director, choreography and performer) and others. Most recently Ms. Cechova choreographed for the Prague National Theater’s production of Donizetti’s Viva la Mama! and co-directed Fragments of Love and Svetlana Alexijewich’s Second hand time for Spitfire Company. As a lecturer, Ms. Cechova has been invited to various universities across US to talk about European physical theatre, artistic clime and her methods of theatrical creation (American University, Washington, Tampa University, Florida, Stephens Collage in Missouri, Mercersburg Academy in Pennsylvania and others.) She has repeatedly given a talk to Czech Embassy and European Centers in US, e.g. Conversation in Culture at Delegation of the European Union in Washington DC. In 2016, she was honored to talk at TEDx Prague Women as Mckenzie Tomski, her artistic alterego, who is a fictional character of Cechova’s upcoming book Miss AmeriKa. 2015 – 2016, Ms. Cechova served as a programme director at the Czech Center New York. 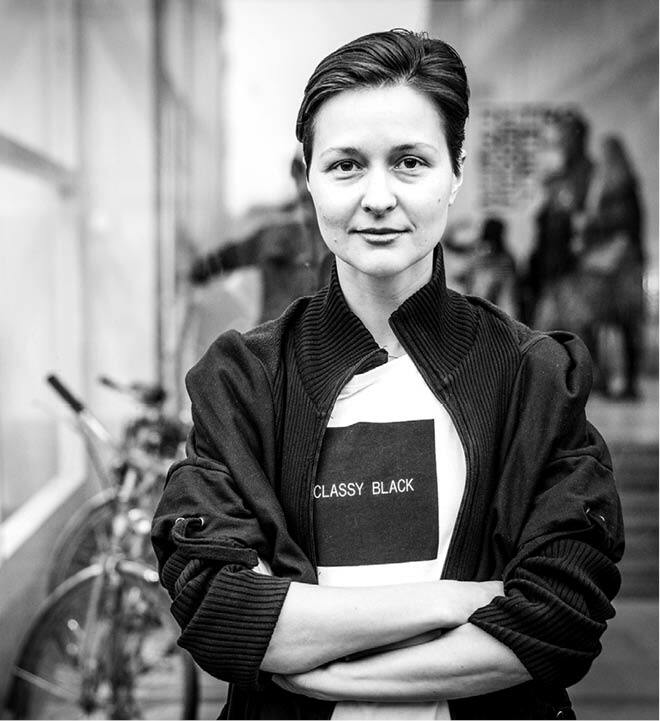 Since 2017, she founded a theatrical laboratory Tantelab for young artists living in Czech Republic. Valtice, 24. - 28. 7.